I won't pretend to be an expert but I think a lot of author guides have an overly generous approach to being online. Send to your mailing list every few weeks, Tweet hourly, or every 15 minutes, post to your blog daily or every few hours, make sure you're frequently Facebooking, use Instagram, Pinterest, Bebo, Google +. Flickr, Goodreads, LibraryThing, Meetup, LinkedIn and dozens of other social media sites. It quickly gets overwhelming and looks more as if an author is trying to build an online empire than showcase their books. Personally, I think that there's a smarter approach than carpetbombing the Internet. How an author uses these tools varies depending on the size of their fan base, the length of their backlist, and how often they release a book. A website is non-optional. There are a number of user-friendly options to build a site: Wordpress, Blogger, Wix, Web.com, etc. I recommend keeping the website simple and uncluttered (it makes it much easier to look at on different devices). 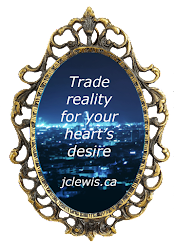 It should be easy to find information on your books and links to your purchasing platform. When setting up my site, I looked at over a hundred websites by different authors, both in and out of my genre, to get ideas of what to include and what worked and what didn't. A blog is a good idea. Personally, I think it's the best medium for keeping readers updated on your progress and it's a good draw to bring in new potential readers. A lot of new writers make the mistake of focusing exclusively on their publishing progress, but unless they already have an existing fan base, that's not likely to encourage people to visit. Some authors provide short flash fiction pieces, others use guests to cross promote, some have regular features. There are lots of options, but whatever you do, be prepared to do it well and regularly so that your readers can rely on you. The next issue to consider with a blog is how often to post. A daily blog post can be time-consuming, even if an author prepares the content in advance. I think reliability is more important than frequency. If a writer only does a post once a month on the second Monday, that can be more of a draw than one who might post daily for a week and then be off-line for another two weeks. I post twice a week, one is always my weekly update and the second is a look at things that interest me and that I think will interest readers. Twice a month, I have a feature: my Heroine Fix (on the heroines who inspire me) and my Ink Tip (writing and editing techniques as well as publishing and promotion tips). A mailing list is also a good idea. It's something that people have to sign up for, so it's a way to measure and reward your fan base. A friend of mine with a large fan base and backlist offers a "starter library" of four or five books for every person who signs up on her mailing list. She releases a book each month and does a newsletter each month reminding people of her two or three most recent releases. She also does draws and contests through her mailing list, such as giving a signed copy to the first person to tweet her new cover. I have a smaller (but awesome and dedicated) fan base, and I only release one book and one short story each year. I only do a newsletter when I have a new release. I've seen other authors who do frequent newsletters but not frequent releases and readers can get in the habit of ignoring the newsletter if they don't see value in it. Then, by the time the new book is ready, they've unsubscribed or simply don't open the emails. Twitter and Facebook are good tools for connecting with readers on a regular basis and keeping an author in their awareness. But readers will not stay for a steady stream of "Buy My Book" posts. Authors who are funny, insightful or helpful on their social media can reap big rewards in terms of potential sales because people are already interested in hearing what they have to say. However, social media can also be a huge time-vacuum, so it's best to budget time and ideas in advance. Again, reliability is more important than frequency, but there are limits. Facebook penalizes infrequent or under-noticed posters since their systems depend on popularity. The more interaction a post has, the more Facebook is likely to make sure that people see it. Infrequent Twitter postings can be buried and vanish under an avalanche of trivia. When it comes to other social media platforms, an author should carefully weigh whether or not their potential readers will frequent that platform. Age, interest and the platform's activity level should all be taken into account. But so should an author's available time. I'd love to be more active on Goodreads but I simply don't have the time. I've had to choose to focus my attention on Twitter and Facebook, since that's what the majority of people use. It all boils down to finding a strategy which is comfortable and sustainable. And making sure that you still have time to write the next amazing book. I was hoping to get an hour or two on Saturday to write but since my husband spent most of Friday night at work, I am on parenting duty while he catches up on some sleep. The ORWA/OPL event went great despite a couple of goofs on my part. It was my first time moderating and, although I think I did fairly well keeping people on time and moving forward, there were some inevitable mistakes. I think we generated a lot of interest and hopefully we'll get some new members from it. Rose on the Grave is coming together but probably won't be ready for October 1st, but should still be out in plenty of time for Hallowe'en. I should be getting my cover for Inquisition soon and I'm excited and a little nervous. There are a lot of changes going on right now for the trends for romance covers, so I'll be curious to see whether the cover follows the familiar tropes or if it breaks into developing territory. And the other fun development this week was that the San Diego Romance Writers got in touch with me and we're looking at arranging for me to fly back out to San Diego and give my Beyond the Furrowed Brow workshop sometime in 2017. Lots of stuff on the go but things are definitely moving in the right direction. J. Jonah Jamieson likes to give Spider-man a hard time, always focusing on the negative aspects of hero-work. It's played for laughs most of the time, but what if he has a point? At the end of Batman Begins, the newly promoted Lieutenant Gordon questions Batman about the wisdom of donning the cape. He points out that when cops wear body armor, the bad guys get armor-piercing bullets. Gordon asks what will happen when the good guys start to wear costumes and holds out an evidence bag with a playing card, saying that the man who uses these has a flair for the dramatic. A guy who likes playing cards must be mentally stable, right? The entire premise of Captain America: Civil War is about how far is it permissible for a hero to go in his or her pursuit of saving the world. The Avengers are confronted by the families of people who died as collateral damage from their battles. The Secretary of Defense shows them a montage of battle footage as justification for why the Avengers can no longer operate autonomously. Because we're nerds and it's just how we roll, my husband and I decided to take a look at those battles and decide if they really were the Avengers' fault. Even alien invaders can't find parking in downtown New York. The Battle of New York was initiated by Loki and the Chitauri, who wanted to invade and either kill or enslave all of Earth. Why pick on Earth? Because Loki has some serious family issues and wants to hurt Thor by attacking his favorite Midgaard hangout. One could argue that the blame for the battle ultimately lies with Odin and Freya's crappy parenting since they overlooked some pretty blatant sibling rivalry and ethical lessons. However, the real question is what would have happened if the Avengers hadn't been there and the answer to that is global apocalypse. So I vote that they earn some slack for the mass destruction on that one, since it would have been a lot worse otherwise. In retrospect, maybe we should have stuck with actual boats. Captain America crashed three Helicarriers over Washington, one of which destroyed S.H.I.E.L.D. headquarters, the Triskelion. In his defense, he had just discovered that the evil organization HYDRA had infiltrated S.H.I.E.L.D. and had a plan to use the Helicarriers to systematically execute all opposition with blasts from the sky. The only way to stop them was to remove the guidance chips which would send the three ships crashing to the ground. If Cap hadn't stopped them, there would have been millions executed, but his method left hundreds injured or killed, including innocent civilians. Once again, the situation would have been a lot worse if Captain America hadn't stepped in, but it's hard to argue away casualties. This one has to be called a draw. "That's no moon..." "Not the time, Tony." Sekovia is entirely Ultron's fault, which means it's entirely Tony Stark/Iron Man's fault. Stark created an artificial intelligence to make the ultimate peacekeeper (because clearly this is a world in which the Terminator series doesn't exist). Ultron turned out to be a little more genocidal than ideal and arranged to send the city of Sekovia high into the atmosphere so that it could become an Extinction Level Event meteor (because Armaggedon and Deep Impact apparently do exist in this universe). 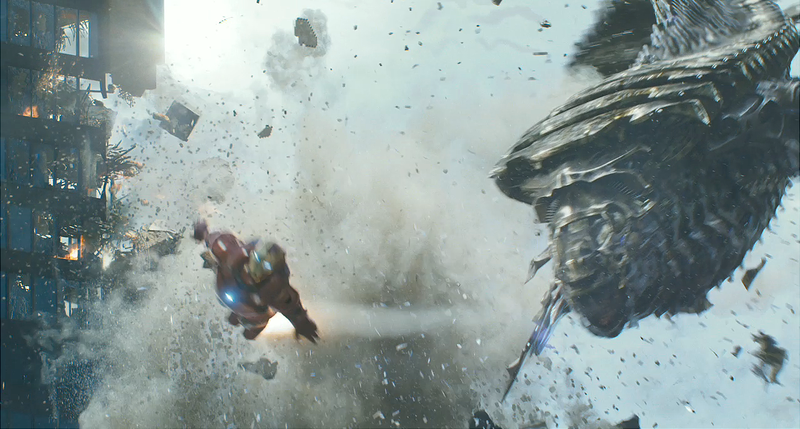 No Tony Stark, no Ultron, so although the Avengers worked very hard to evacuate as many civilians as they could and took casualties themselves, it's hard to overlook the fact that none of it would have happened if Stark had listened to the "man is not mean to meddle medley." The hospital explosion is the inciting incident for Civil War. The team chases a HYDRA operative with a biological weapon, and as the Scarlet Witch tries to contain the explosion, sending it into the sky, she loses control and it impacts into the corner of a hospital, killing a dozen people and injuring more. This prompts the United Nations to call for a committee to control what the Avengers can and can't do and to provide oversight for when it goes wrong. So here are the questions: Did the Avengers need to be the ones chasing the HYDRA agents? 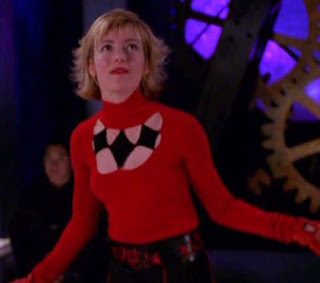 Should the Scarlet Witch be held accountable for killing people when she was trying to save them? Is she responsible for the deaths or is it the responsibility of the HYDRA agent who triggered a suicide vest in a crowd? After careful discussion, our little mini-poll decided that this one was another draw. Results count, but so do intentions. But I think, at the end of the day, these are the wrong questions to be asking. When Spider-man joins Team Iron Man, he explains why he became a superhero. "When you can do the things that I do and you don't and then the bad things happen, then that's on you." (In other words, with great power comes great responsibility.) Bad things happen and those who can help, should help, regardless of whether they wear a cape, a uniform or jeans and a t-shirt. It's not always going to go the way we would want and sometimes we aren't going to be able to stop the horrible things from happening. That's real life as well as the comic book universe. But effort and intention count. First off, congratulations to Agnes C who won the draw for the $20 gift card at Can-Con. It's lots of fun being the prize-giver. :) I hope she finds something that she really enjoys. I know I'd spend it all on books, but I hear that Amazon sells other stuff, too. Now, back to the writing update. Between Can-Con preparations and back-to-school drama, my day job got kind of crunched for the first two weeks of September. So this week required some overtime to get back on track. However, I insisted on taking time to write, which meant that I spent four hours on Saturday morning locked in my room while my husband did the single parent gig. 4 hours, 3300 words. A fairly good result and one I'm pleased with. I'm working on the final draft for Rose on the Grave right now and eagerly awaiting my cover for Inquisition and the first round of edits. I've also been doing some plotting for the first book in a new series, which I think might be something that I can pitch to traditional publishers. I'm also thinking about book 4 of the Lalassu. The new series would focus on the individuals who have to investigate and deal with superpowered individuals but may or may not be gifted themselves. A sort of X-files vs X-men kind of approach. I have my new cover for Rose on the Grave and it looks awesome. Once again, Samianne has done a fantastic job. I can't wait to share it all with you, which is why I've made myself a deal. I can share the cover once the new draft is done. Next weekend, September 25th is the Ottawa Romance Writer's panel on How to Write a Romance Novel at Ben Franklin Place (2-4 pm). It's going to be very informative and I get to host, which should be fun. Since I was at Can-Con last weekend, I've found myself thinking a lot about conference etiquette. (And allow me to say that Can-Con was an excellent conference and few to none of these challenges occurred there. I have seen them at other conferences, though, and it is amazing how quickly a few breaches can make the atmosphere toxic.) Conferences can be a lot of fun for guests and professionals alike, but a few simple tips and guidelines can help to keep things running smoothly. Fan conferences, no matter what type, are fueled by the enthusiasm of the guests. There is something intoxicating and magical about being surrounded by people who are all sharing their enjoyment and passion for a particular topic, which leads directly to my first guideline. Be respectful of different views. Not everyone likes the same things or all aspects of the same thing. In case people missed this particular lesson back in kindergarten, it's okay to disagree and like different things. I'm more of a Marvel fan than a DC fan, but it doesn't mean that I have the right to run down DC comics or say their fans are somehow stupid because they don't agree with me. Debate is great, but it should be done respectfully. And if the positions are too greatly separated or too vehement, then don't waste your time. I had one man tell me with great confidence that all romance was garbage. I nodded and shrugged, saying that I enjoyed it and that I guessed my books wouldn't be enjoyable for him but that I hoped he had a good day. He walked away feeling superior and I got to get on with my day and my sales. I could have argued with him. I could have brought up any number of sources and references. But I let it go because the odds were we'd just both end up miserable. Be respectful of panelists and vendors. Most of the time panelists are simply enthusiastic amateurs. They're not professional speakers or scholars, so they are sharing their opinion, not absolute facts. There is usually time reserved for questions in a panel, so if a guest feels that something has been missed, question time is a good time to point it out. It is not a good time to engage in a spirited debate on why the panelist is wrong. Similarly, there may be vendors who are selling things that a particular guest isn't interested in. Or supporting a charity or genre or series that the guest doesn't endorse. A face to face confrontation in the vendor room isn't the best way to handle it. If a guest feels strongly, then they should speak discreetly to the conference organizers. Vendors pay a fair amount of money to be at conferences, which is why they can get upset at people selling things outside the vendor room. Trying to redirect customer traffic away from the vendor room to purchase products from someone who is ostensibly a guest is disrespectful. Now, I'll admit, that I usually bring a copy or two of my book along with me to conferences, just in case someone is really interested and wants it on the spot, but I try to be discreet. Most of the time, I'll provide a card with my book's information so that they can pick it up later. And a final, should-be-common-sense piece of advice. Don't stalk people. Don't follow them to the bathroom. Don't prevent them from going to panels or events in order to talk to them. Conferences are small and there will be plenty of time to bump into people later. If they're in a hurry, respect that. Contain fangirl/fanboy moments. I'm not cool and I probably never will be. I cannot do blase when I'm excited. But I can keep myself together for short periods and then discreetly exit and have my geek out moment in private. I adore meeting people who have inspired and entertained me at conferences but I always try to respect the fact that they don't know me and that what might have been extremely important to me may have only be one job among many for them. Getting ready to sell your books (or other products) at a conference is exciting and challenging. Vendors, even those who are past the first-time status, spend a lot of time wondering how much stock to bring, what price to sell at, etc. It can be difficult and nerve-wracking, wondering if anyone will visit the table and buy a book. But there are some basic courtesies which can make it easier. Be respectful of your fellow vendors. One of the worst experiences I've ever had at a conference was when I had to deal with sharing a table with a woman who kept making degrading comments about my books and romance as a genre. (To be clear, she'd never read my books, but if someone showed interest in them, she would make a rude comment and try to get them to look at her books instead.) To add insult to injury, when she finished for the day, she left all of her garbage for me to deal with. Recently, at Can-Con, there was one vendor stopped by my table and made a few dismissive comments about genre fiction, saying it was poorly written and formulaic. He condescendingly said he preferred to read quality literary fiction. I will admit to a certain satisfactory enjoyment when I sold out and he was packing up most of his books. There's no need to put other people and their work down. Guests have a wide variety of interests and they're all worthy of respect. Be kind, even if something isn't your cup of tea. If nothing else, vendors are stuck with one another for hours and days in fairly tight quarters. Tensions can build quickly in such an environment and that leads to tension which can turn off all potential customers. Be friendly and approachable. It always shocks me how many people pay money for vendor tables and then sit there, scowling with their arms crossed, making it very clear that they are not happy to be there. I'd be hesitant to approach such a table, even if I was a rabid fan with money to spend. Similarly, it's not helpful to be too desperate. If the only words out of a vendor's mouth are "Buy My Stuff" then guests will instinctively move away. Find an icebreaker to get a conversation going. People like to talk about themselves to an interested party. (Incidentally, this is where I originally had a challenge. I would have long conversations and never work up the courage to share details about my book.) If someone is having fun and has pleasant memories of being with someone, they are more likely to be interested in buying a book. A vendor has to sell themselves first and their goods second. Make sure all body language signals openness. Standing up, keeping the arms loose and at the sides, and smiling all tell guests that a vendor is approachable. Practice your pitches. Break down your series to a 5-10 second elevator pitch. Mine is "Paranormal romance and urban fantasy about a secret society of superheroes living among us." If a guest looks interested, then I can go into more details about the specific books. Don't overwhelm with details right away. Be prepared. I was mortified at Can-Con when I had to keep a customer waiting to call my husband to get the login information for my credit card swiper. Luckily it was a friend and fellow author who understood I'm not usually that disorganized (Thanks for being patient, Nathan!). Have the necessary items (pens, cashbox, swag, etc.) conveniently laid out so that everything is easily found. Make sure any computer programs or technology is running smoothly before the conference begins. I like attending conferences, both as a fan and as a vendor. Most of the time, it's a lot of fun. In the end, it boils down to common sense and politeness. We're all there to enjoy ourselves and share our passions. Surely that's enough of a common ground. 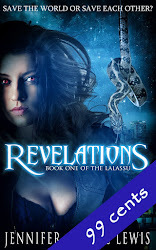 - met one of my inspiration authors, Tanya Huff, and she bought Revelations!!! Can-Con was a lot of fun this year. I was with my tablemates from last year, the Ottawa Browncoats and Mythhawker Books. The Browncoats were promoting their charity screening of Serenity on September 25th and Mythhawker has expanded from a dozen titles last year to almost a hundred this year. And we were joined by a new friend, Heart Tea Heart, a gourmet tea vendor, hopefully coming soon to Bayshore. On Friday, I met my con-buddy and Blue Penciler, Jennifer, and we spent an hour going over her manuscript and talking about the publishing industry and how to balance real life and writing time. And I also ran into Any, my first and favourite fan. She is so sweet and fun to talk to. And then, on Saturday, came my huge thrill where I got to meet Tanya Huff and she autographed my book (even though I missed her signing) and then, when I was already feeling a fangirl high, she joined us for dinner. The cherry on the weekend was when Tanya bought a copy of Revelations and then when I sold my final copy of Revelations (and all but 3 copies of Metamorphosis). This kind gentleman picked up one copy of each. The final copy of Revelations, sold! I made some wonderful connections and there may be some interesting opportunities coming up. I have to talk and get some details and make some decisions. There were a couple of rough moments, but overall, a great weekend and a great experience. Can't wait for next year. After a week of hard work, Inquisition is ready for the editors and the two short stories are ready to submit to the Behind the Mask anthology. Not a lot of new writing, but I still feel a sense of achievement. 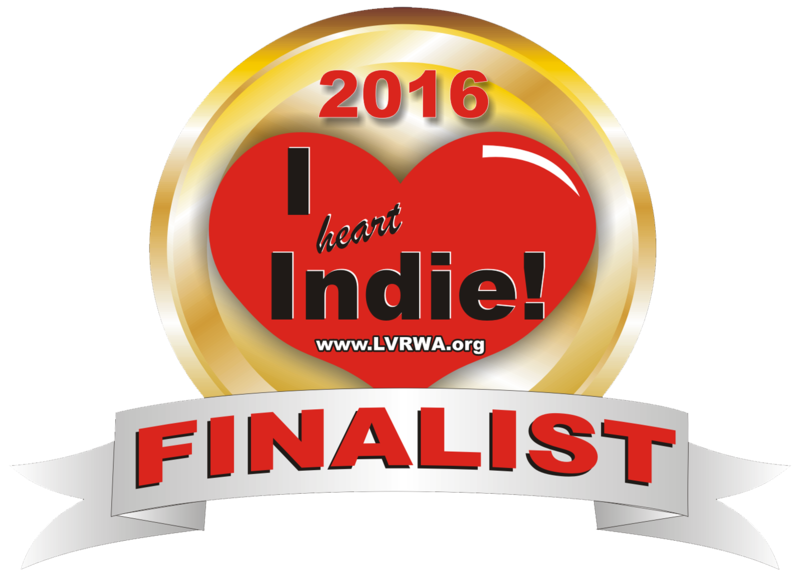 I should be hearing about the results of the I Heart Indie contest soon, which should be fun. I even got my official badge to use. I've been getting ready for Can-Con. I'll be in the vendor room on Friday from 5 to 7, Saturday from 10 to 5 (with a brief exception) and Sunday from 10 and 4 with chocolate and free swag to give away. And books to sell, for those who are interested in such things. Friday at 9: Non-verbal body language and emotional expression. Find new ways to express your characters' emotions. Saturday at 1: a reading from Metamorphosis. I'm terrified of public speaking so come and watch me sweat. I've been practicing so I won't stumble over my own tongue. Saturday at 8pm: Is this the Golden Age of Superhero TV? Don't have time to watch all the awesome offerings from DC and Marvel? Don't worry, I've done it all for you and I'll share all the goodies. Warning: there will be spoilers. Saturday at 9pm: The Do's and Don'ts of Writing Erotica. I may not be an erotica writer but I am an erotica reader and I'll be sharing my thoughts for those looking to get into this lucrative genre. Every professional writer I've ever talked to, from New York Times Bestsellers to first time self-published, goes through the same emotional process about their work, running along the spectrum from "It's brilliant" to "It's crap" and back again. Personally, I go through a kind of separation anxiety. While I'm working on a manuscript, I have a decent awareness of the level of quality (backed up by my beta readers). But after I walk away, all the flaws become magnified in my mind. I start obsessing, convinced that my writing is nothing but the flaws, that they overwhelm any other redeeming features. The longer I go without looking at a particular work, the worse I convince myself that it is and the harder it becomes to make myself go back to it. This becomes a particular challenge since I find I also need at least two or three weeks of separation in order to approach the manuscript with fresh eyes. When I finally pull it open, I'm mentally cringing but as I force myself to peek through my fingers, I discover that it isn't as bad as I thought. I've done more work than I remember, I've set up and resolved my subplots properly (and if I haven't, it's usually a quick fix). The more I go through it, the more relief I feel. I start to feel proud of what I've done again. I start to have faith in my skill and my work again. What I've learned is that I need to remind myself that those feelings of anxiety and unworthiness are as false as any message that comes from depression. While I don't wish to overstate my abilities, I shouldn't underestimate them either. Maybe this is part of the "Impostor Syndrome" that Dr. Young spoke about at RWA. It's too easy to dismiss skill as luck or chance. False modesty becomes underestimation which becomes a sense that one has falsely represented his or herself. After all, if it's only luck, then there isn't anything to fall back on when luck fails. As it inevitably will. But the thing is, no one becomes successful only by luck. It plays a part in providing opportunities, but without the talent and drive to take advantage of those opportunities, there cannot be any achievement. Easy to say, not so easy to believe, not deep in the gut where our secret fears hide.